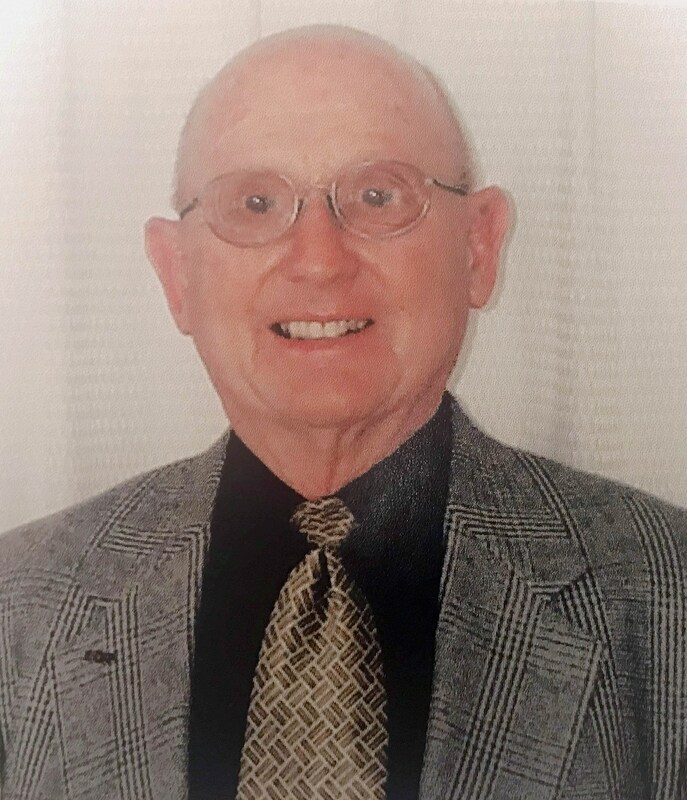 BURLEY – Lt. Col. Gene Ellsworth Stoker, a 90-year-old resident of Burley, passed away Sunday, January 27, 2019, at Cassia Regional Hospital in Burley. Gene was born Aug. 16, 1928, in Idaho Falls, Idaho, the son of Rulon and Louisa Ellsworth Stoker. When he was a baby, his family returned to Burley. After graduation from Burley High School in 1946, Gene enlisted in the United States Marine Corps. When he was discharged, he worked various jobs around Burley. He married Shirley Edna Plank on May 15, 1949, and later that year moved to nearby Rupert to work for his father-in-law, Dr. J. H. Plank, feeding cattle. It was a rough winter with blowing snow and temperatures reaching 31 degrees below zero. When the cattle were sold, he found a job at a local grocery store. In 1951, he began working for the U. S. Bureau of Reclamation (USBR) at Minidoka Dam, where he did power account billing and power accounting. In 1964, he was transferred to the Minidoka project office in Burley where he became a power contract specialist and safety officer. After the flood of the Teton Dam, he was transferred to Rexburg, Idaho, where he worked as a farm claims specialist helping farmers recover from the severe damages caused to their farms. After 28 years of service with USBR, he retired and began his farming career. During this time he and his wife, Shirley, played a lot of golf and traveled the southwest part of the country in the winter months. In January of 1949, he enlisted in the Idaho Army National Guard and served 20 years with the National Guard and another ten with the U.S. Army Reserve. While in the National Guard, he was a drill instructor, tank commander, platoon leader, company commander, and staff officer at battalion and regimental headquarters. He was trained for this duty at Fort Knox, Kentucky and Forth Leavenworth, Kansas, where he graduated from the Army Command and General Staff College. Gene is survived by his wife - just short of 70 years - Shirley; his daughters, Sandra Robertson-Hauptmann of Twin Falls, and Vicki (Gary) Warrick of Hooper, Utah; and daughter-in-law, Karen Stoker of Filer. He is also survived by seven grandchildren: Nicole (Matt) Cantrill, Angela (Matt) Graff, Gregory (Erin) Robertson, Jeremy Warrick, Nicholas Warrick, Jeffrey (Mary) Warrick, and Lance Warrick; and six great-grandchildren: Holden Cantrill, Sawyer Cantrill, Harper Graff, Braelynne Warrick, Rylan Warrick, and Waylon Warrick. He was preceded in death by his parents; sisters, Shirley Povlsen Danner, and Ann Tanis; brother, David Stoker; and his son, Judge Randy Stoker of Filer. The funeral will be held at 11 a.m. Monday, Feb. 4, at the Rupert United Methodist Church, 605 H St., in Rupert, where military rites will be performed by the Mini-Cassia Veterans Group. Burial will follow at Paul Cemetery. Friends may call from 5 until 7 p.m. Sunday, Feb. 3, at Rasmussen-Wilson Funeral Home, 1350 E. 16th St., in Burley, and one hour prior to the funeral at the church. In lieu of flowers, the family suggests memorial contributions be made to the Rupert Methodist Church. The family would like to express their appreciation to the staff of Cassia Regional Hospital for their skilled and compassionate care of Gene.